Our world is far from perfect. While the world has been getting better in many ways, we are also continuously faced with challenges. War, political conflict, and social injustices continue to hinder human progress. All one needs to do is turn on a mainstream news channel and watch the issues that our world is faced with today. Discrimination, political instabilities, climate change, terrorism, cyber-attacks, refugee crises…the list goes on. We often get so preoccupied with our issues here on Earth that we forget we are part of the grand cosmic arena. 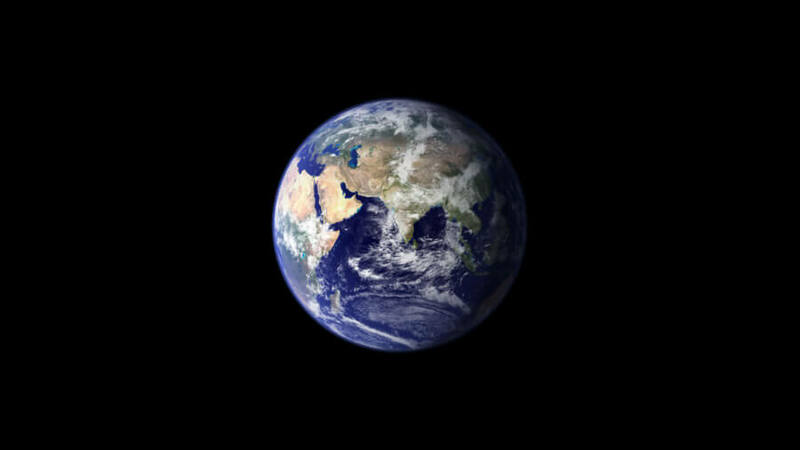 Let us zoom out of our planet and observe our actions and values from an objective lens. If an alien species were to observe us, what would they think of us as a species? Are most of our actions justifiable from a cosmic perspective? Are our politicians and leaders pushing humanity forward? From space, national boundaries and geographic differences disappear, and it becomes clear that at the end of the day, we are all fundamentally human. There are no dividing lines and no boundaries. Nationalism, patriotism, and tribal behavior have no meaning. All we see is just one planet, and it’s the only home we have. On February 14, 1990, as the spacecraft Voyager 1 was leaving our planetary neighborhood, Carl Sagan suggested NASA engineers turn it around for one last look at Earth from 6.4 billion kilometers away. The picture that was taken depicts Earth as a tiny point of light—a “pale blue dot,” as it was called—only 0.12 pixels in size. In an inspiring monologue that followed, Carl Sagan asks us to, “Think of the rivers of blood spilled by all those generals and emperors so that in glory and triumph they could become the momentary masters of a fraction of a dot. Think of the endless cruelties visited by the inhabitants of one corner of this pixel on the scarcely distinguishable inhabitants of some other corner.” Ultimately, the borders that we humans have mapped out on Earth are arbitrary human creations that have no real significance in the vast cosmic arena. What the overview effect leads to is a cosmic perspective. It is recognizing our place in the universe, the fragility of our planet, and the unimaginable potential we have as a species. It involves expanding our perspective of both space and time. Unfortunately, many world leaders today fail to take such a perspective. Most politicians have yet to develop a reputation for thinking beyond their term limits. Many have yet to prioritize long-term human progress over short-term gains from power or money. What we need is for our world leaders to unite rather than divide us as human beings and to promote global, and even cosmic, citizenship. What if every world leader and politician truly experienced the existential transformation of the overview effect? Would they still seek to become “momentary masters of fractions of dot”? Would they continue to build walls and divide us? Probably not. It is likely that their missions and priorities would change for the better. Obviously, giving everyone a trip to space is impractical—that is, unless space tourism becomes cheap and effective. But there are other ways to promote the much-needed “big-picture thinking.” For instance, we must upgrade the kind of values our education system promotes and equip future generations with a cosmic mindset. We can continue to educate and engage the public on the state of our planet and the need to upgrade our morality in the grand scheme of things. But there are even other ways. One exciting organization, called The Overview Institute, has developed a virtual reality program that will allow users to experience the overview effect. It is a scalable tool that will make the existential transformation of the overview effect accessible to many. Experiencing the overview effect and developing a cosmic perspective is known to inspire more compassion for our fellow human beings. It stimulates a determination to successfully resolve all the problems we have here on Earth and focus on the issues that matter. It upgrades our consciousness, our values, and the kind of ambitions that we set forward for ourselves, both as individuals and as a species. It is a powerful awakening of the mind and a fundamental redefinition of what it means to be human. Raya is the Founder & CEO of Awecademy, an online platform that gives young minds the opportunity to learn, connect and contribute to human progress. She is a writer and regular speaker on the topics of innovative education, the future of work and the effects of exponential technologies on society.